The Circadian Rhythms is moving modular synthesizer technology another step forward by gluing all the pieces of a system together. 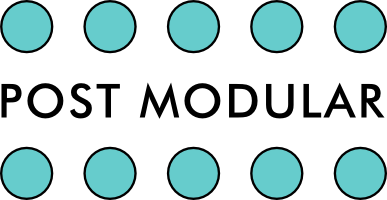 Each module or voice can now be programmed to play straight from an intelligent, eight-channel, 512-step master trigger sequencer made for composers looking to make music on the modular. Building on the sequencing concept of step programing multi-channel patterns of musical phrases can be repeated, looped, chained, muted and manipulated on the fly in real-time, and most importantly, all of this is done through a simple, clearly labeled interface. Using an array of multicolor illuminated buttons and innovative grid views provides a highly functional live performance sequencer with a beautiful glowing appearance of the programmed music that will look amazing on stage for both performer and crowd. 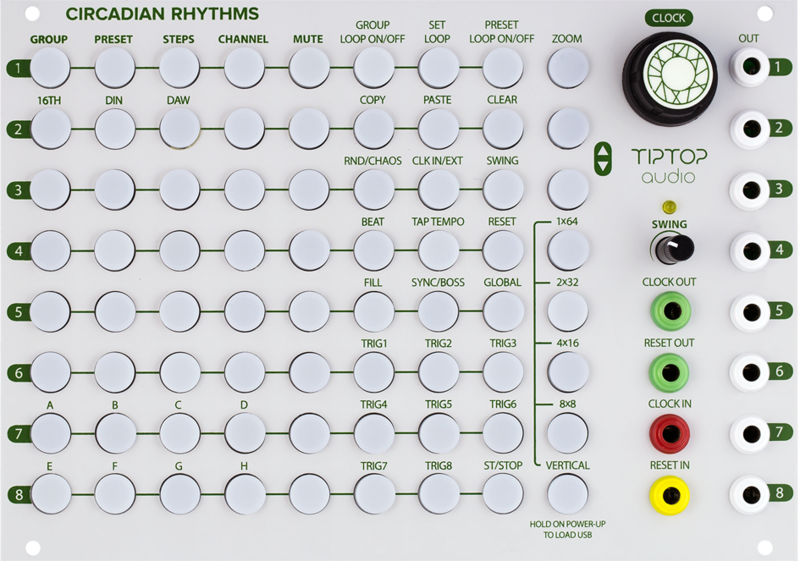 As a master controller, the heart of the modular synthesizer, Circadian Rhythms generates high precision clock and reset signals for all the other sequencers and devices in the system to align with and can also act as a high precision bridge for DAW synchronization. 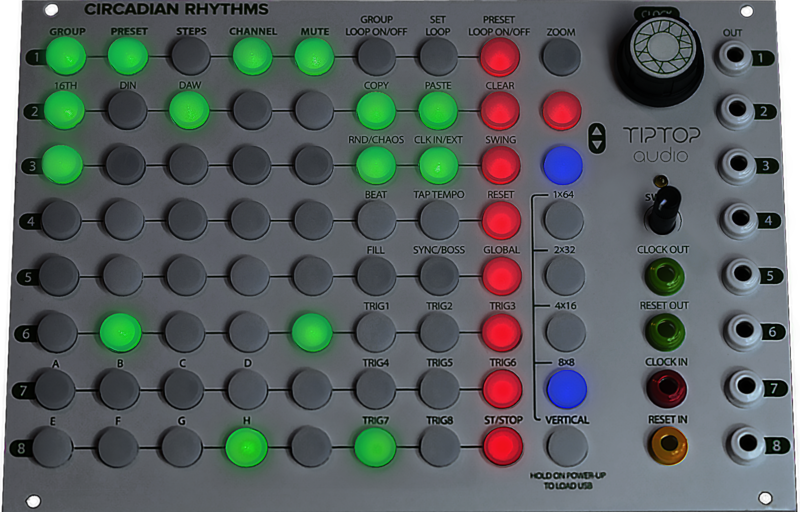 Built around 72 buttons set as a multi-color illuminated 8×9 array, Circadian Rhythms displays both note data and settings in a clear and precise manner. 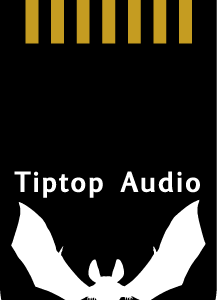 It takes only one click to switch to vertical view and the grid turns into a set of programming and realtime playing functions like Mutes, Loops, Swing, Fills, Copy and Pate, Grouping, Randomizing, Manual trigger entry drum machine style and many many more. Activate any of those functions with only a button press or two. Inside the CR ticks an extremely precise clock with jitter and latency measured in mere microseconds for the ultimate feel of groove. The four modes of clock sync make interfacing with other modules, hardware or software simple. Whether driving a large Eurorack system or synced to a DAW, the groove always remains tight. When state of the art chip technology, musically driven firmware, and professionally engineered hardware design all come together in one electronic device, the result is a music sequencer with unparalleled specifications. Starting with a powerful, precise sequencing engine that has superb feel for the groove, add internal functions that automatically balance performance and smooth user interface operation, and finish with outstanding low power consumption placing minimal stress on power supplies even at maximum output, Circadian Rhythms has a design focused on the requirements of the most dedicated musicians and composers. Long time pros will immediately feel a machine made for their needs, while the newcomers can instantly dive into next level programming and performance. 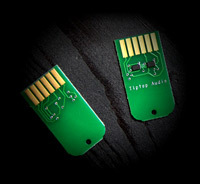 The Tiptop Audio designed SyncBus enables the CR to connect to any number of other SyncBus devices with the highest possible level of synchronization. A SyncBus master directly injects its core clock and running status into every connected unit so they work seamlessly as one device. Hook up two CRs to make a 16 channel device or add a Trigger Riot (or three) to the mix for further experimentation. Plus, the connection is done behind the panel so no need to patch anything together.